I thought I was jumping the gun with the fall desserts, and then we had an entire week of rain. Like RAIN rain. The kind that makes the tree across the street fall down, the lights in the house flicker, and keeps you in your sweats all day long. We turned the heaters on for the first time since Spring and enjoyed the first of many apple treats for the season. Truth be told, I've been meaning to make this galette for weeks now. I had my eye on that gorgeous blueberry-pecan number that graced to covers of Bon Appetit and then was certain I was going to make the most of summer's stone fruit and whip up a tasty peach one. Neither happened. The best thing about rustic galettes is that you can make them all year long! Swap out the fruit and filling to whatever is season, and you have a quick 'n easy dessert no matter what month it is. So for fall, I went with a Toffee Honey Apple Galette! 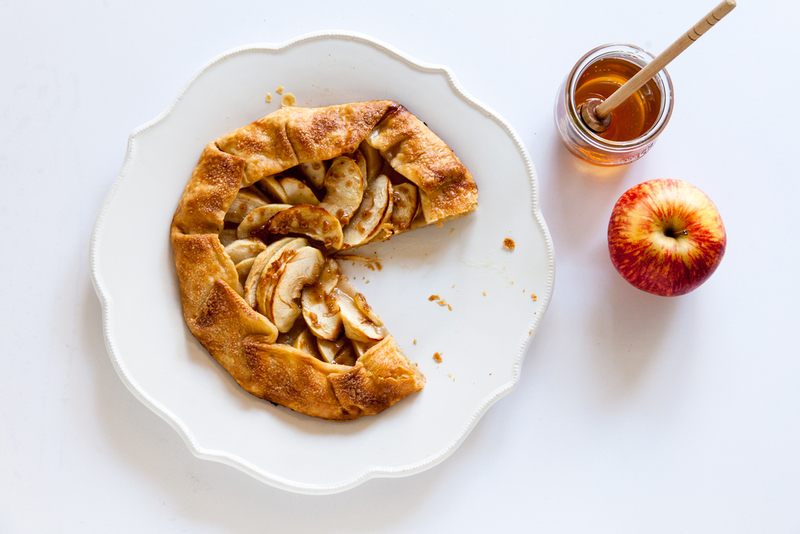 Free-form galettes are like a fancy lattice pie’s unapologetic, untamed cousin. And if you are like me and are seriously lacking in your lattice game, then this rustic pastry wins almost every time. A little lopsided, slightly too crispy on one edge, all-together not picture-perfect? Who cares! It's delicious! Plus, isn't rustic the new "chic" anyways? 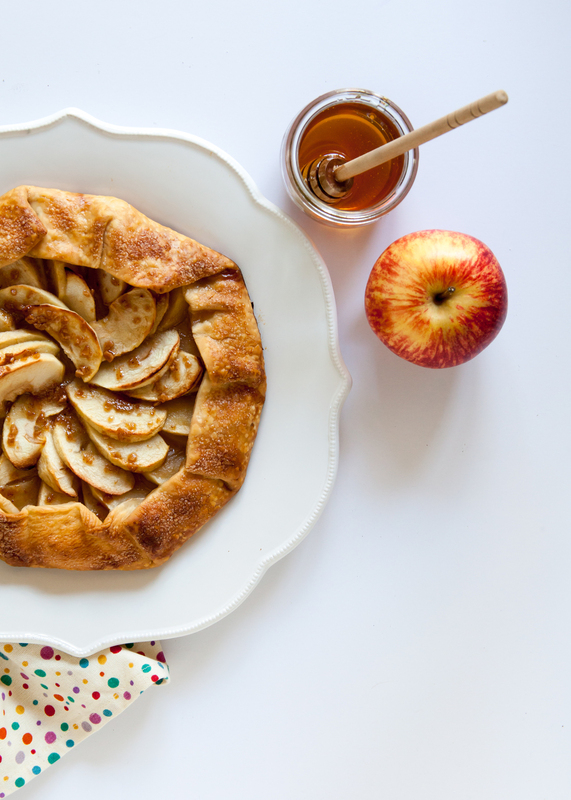 How are you kicking off apple season? 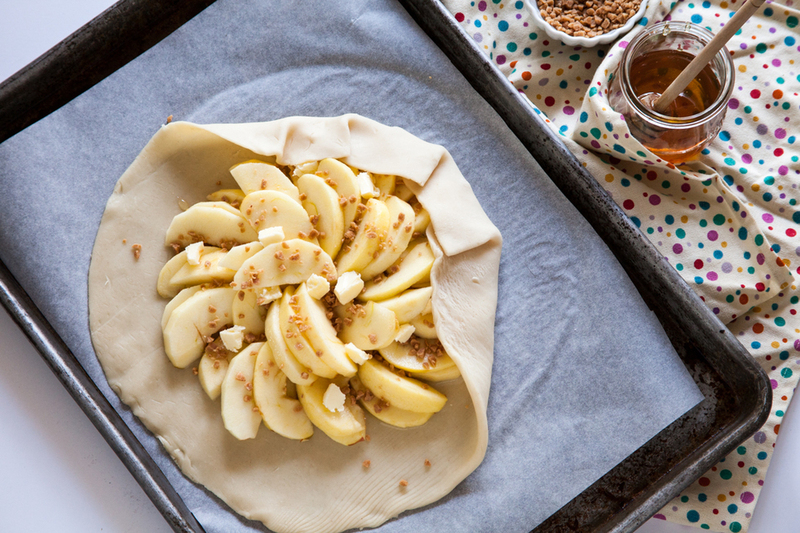 What flavour of galette do you think would be the best for fall? I'm thinking pear-maple would be awesome. Head on over to Brit.co to pick up the full recipe! Is it just me or does anyone else get excited about fruit that has overly ripened? It's like two-for-one!! Well, not really.... But if you feel like it's a race with the clock every time you have an abundance of ripe produce, you can relax. I have a few go-to moves for an excess of ripe fruit. The easiest option is to toss fruit in a smoothie, instead of tossing in the garbage. But whether it be in a smoothie, a flavorful compote, or jam, think twice before wasting all that sweetness. Yes, as you can tell, this did happen to me recently. I was waiting for a bowl of plums to mature, and then all of a sudden- they were all ripe! I knew I could not eat them all in time, so in a tart they went. 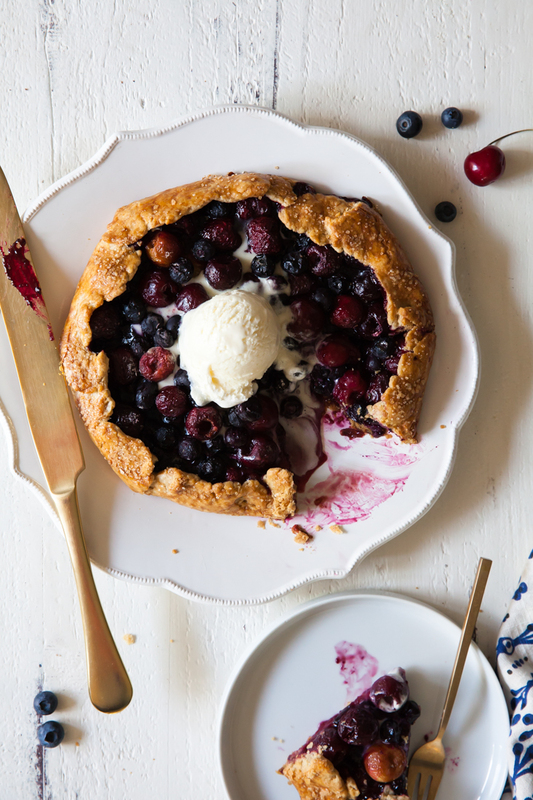 Today, I am pleased to share with you my Plum Blueberry Galette recipe. The crust is fairly simple and made with ingredients from your pantry. I encourage everyone to at least try to make their own crust. Surely store-bought would be acceptable, but I bet you could whip up your own in the same amount of time it takes to get in the car, go to the store, and purchase it. 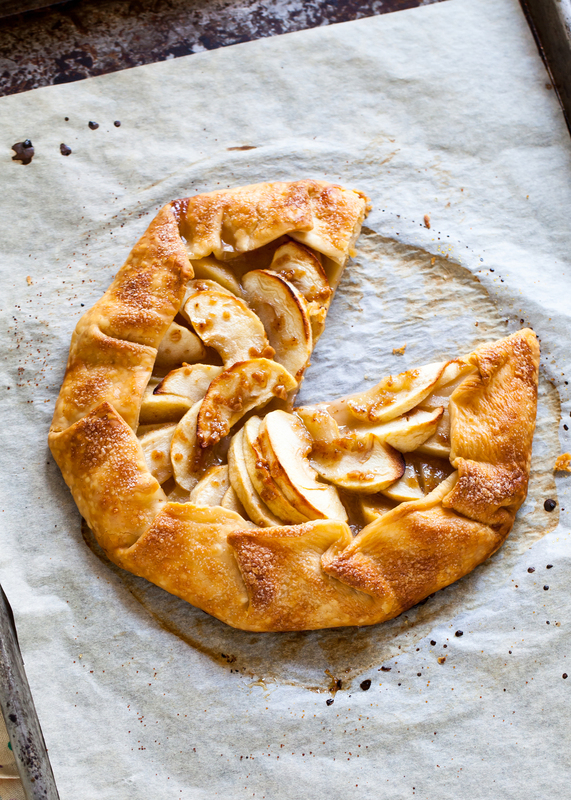 Plus, this galette is the epitome of rustic. What better chance to try a home-made pie crust?!? All we have to do is get a relatively round shape, and that's it! Instead of finding it to be "ugly," think "character" and "unique." Regardless, this buttery, flakey crust is delish- no matter what it looks like. For the filling, I thought blueberries would pair nicely with the plums. Both are summery, not too sweet, and happened to be in my kitchen. I threw in some currants to add a bit of tanginess. Plus, they look like little jewels, adding some beauty and a pop of color to the dessert. 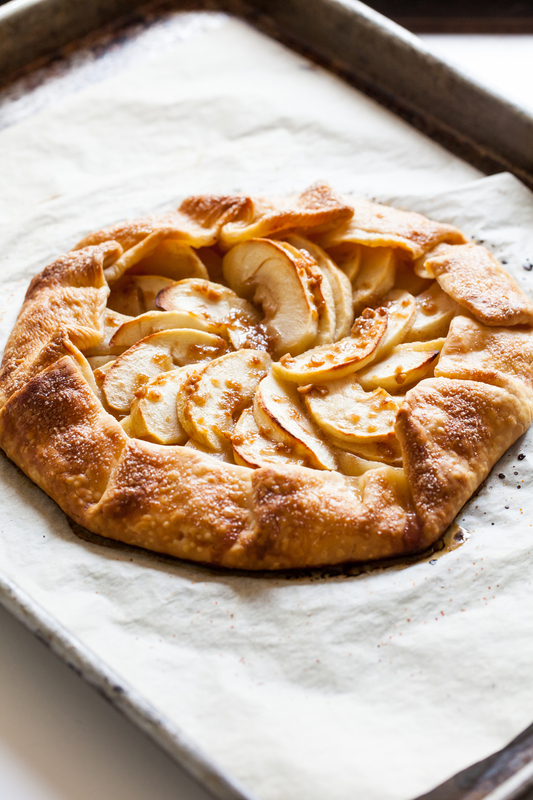 The galette should be sweet enough, with the ripe fruit and sugared crust. Feel free to add extra flavor by brushing the fruit (once removed from the oven) with a honey glaze or flavored simple syrup. For this galette, I paired the plum- blueberry combination with a thyme simple syrup. The flavors were subtle but divine!